A special welcome to everyone visiting from SITS, where the Secret to Success is Support! Today I have the tremendous opportunity to be a “How To” Featured Blogger on SITS. What makes SITS great is that not only do we all agree to read each other&apos;s blogs (one a day), but we ALSO agree to leave a comment. Comments have been compared to many things in the blogosphere, so just to bring my yoga readers up to speed - in yoga terms – comments are like Shivasana (the relaxation pose) to a blogger. They feel so good after a lot of hard work! My SITS Feature Post: How To Relax and Enjoy the Holidays is wrapped up below. For new SITS readers – you are personally invited to keep reading the other links on this page. Young Yoga Masters is all about Kids Yoga, about Training Teachers and about spreading tools to help kids be healthy and happy. I’m a niche blogger so I write almost exclusively about kids/health/yoga/and related topics. I post about once a week. Parents, teachers, and yoga teachers spreading kids yoga. If you are a parent, a teacher, a yoga convert, or just yoga curious and want useful tools for the kids you love, add your name in the subscription box on the top right. Let&apos;s stay in touch. If you’re one of my regular readers, today is the day to try leaving some comment love. SITS girls know the secret to success is showing comment-love support! A celebration is supposed to be a happy day, the kind that makes great memories. Everyone needs holidays to balance out the toil! But what about the obstacles that take a perfectly good holiday and make it feel like work? With a few simple yogi fixes, you can turn these modern problems around and ensure everyone has a fun time. Do you make these holiday mistakes? Mistake: Carrying a Heavy Stress Load: staying up late, getting up early, texting, blogging, tweeting, e-mailing, then running around all day can wear a person down! A little stress can be motivating, but too much stress is like too much salt– it ruins the meal. The Sun Salutation, a flowing yoga series, helps combat the bad effects of stress. Watch this video to see Yoga Man defeat The Stressor using yoga! Exercise is a proven antidote to the toll stress takes on your body. Even just ten minutes of Sun Salutations at night can help you wind down. When done in the morning, the Sun Salutation can help you get moving. This is really helpful to reduce the health risks your body bears when it is in stress mode. Mistake: Reaching for the Junk Food: Eating in moderation just doesn’t go with certain holidays like Halloween, where candies abound. Of course, the best thing to do is to not eat junk. But if you end up reaching for the candies a little more than you ought, here’s something the yogis recommend: Rock Pose/Vajrasana. 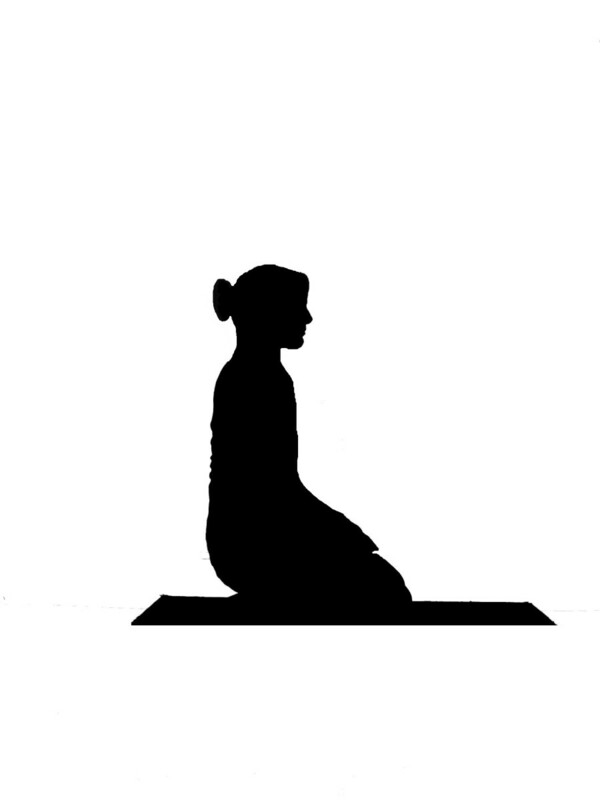 To sit in Rock pose, first kneel and then lower down so you are sitting on your heels. Do it watching TV or sorting Halloween candy, just do it as often as you can. It’s recommended by the yogis to aid in digestion and help with elimination. These yoga fixes have been practiced for ages and can help you fix mistakes and make any holiday a little healthier and happier! Thanks to everyone for visiting Young Yoga Masters today. And remember, whenever you see SITS – leave a comment! P.S. A Special Announcement: My new on-line yoga training, Yoga Man vs. The Stressor: Yoga for Boys is set to come out next week. But since my SITS day popped up this week, I decided to do an early bird special for today and tomorrow only! We’re holding a pre-sale for anyone who wants to jump in and get the best deal possible when you order now and receive your product next week. Click on this link to for more information on how to bring healthy living to your kids.